The Flanders-China Chamber of Commerce is organizing an information session on the opportunities to participate in the China International Import Expo (CIIE), which will take place from 5 to 10 November 2018 in the National Exhibition and Convention Centre in Shanghai. In May 2017, Chinese President Xi Jinping has announced at the Belt and Road Forum for International Cooperation that China will hold the first China International Import Expo (CIIE). China is the second largest economy, as well as the second largest importer and consumer in the world. China has entered a new development stage at which consumption keeps increasing, indicating an enormous potential for the growth of consumption and import. In the next five years, China is expecting to import products and services valuing more than USD10 trillion, which provides a historic opportunity for enterprises across the world to enter the large Chinese market. This information session will take place on Friday 16 March 2018 at 9h30 at Tangla Hotel, Avenue E. Mounier 5, 1200 Woluwe Saint-Lambert. His Excellency Mr. Qu Xing, Ambassador of the People’s Republic of China in Belgium, and Mr. LI Jinqi, Director General of the China Foreign Trade Center will both give you a better understanding on the opportunities for your company to participate in the CIIE. The session will also contain other speeches from Mr Ari Epstein, CEO, Antwerp World Diamond Center and Mr Johan Verstraete, Vice-President Weaving Machines – Marketing, Sales & Service as well as from Belgian and Chinese representatives. The session will be followed by a networking lunch hosted by the Chinese Embassy in Belgium. The information session is hosted by the Chinese Embassy in Belgium and supported by the Flanders-China Chamber of Commerce. • Trade in services (tourism, education, emerging technologies, culture, creative design, and service outsourcing). If you are interested to participate in this Information session, we kindly invite you to register via this link. For questions concerning the Fair, you can contact FIT Shanghai: shanghai@fitagency.be and also our Chamber: info@flanders-china.be. The Cheung Kong Graduate School of Business (CKGSB) is organizing an immersion program for the health industry from October 23 to 27, 2017. The program is co-developed with the EU-China Business Association (EUCBA), the Flanders-China Chamber of Commerce (FCCC), the China-Britain Business Council, and Luso-Chinesa. “Many large European health related companies have benefited tremendously from the booming Chinese economy and its increasing desire for advanced health care products and services. However, SMEs in the European industry have generally missed out on the same opportunities. This is due to the lack of China knowledge, network and partners in China and investment opportunities. China Immersion Program for Health Industry aims to solve this problem by providing European SMEs with the life-changing opportunities to benefit from the lucrative and fast growing Chinese health market. Participants will have the opportunity to learn from CKGSB’s world-class faculty and benefit from the rich experience of industry practitioners. 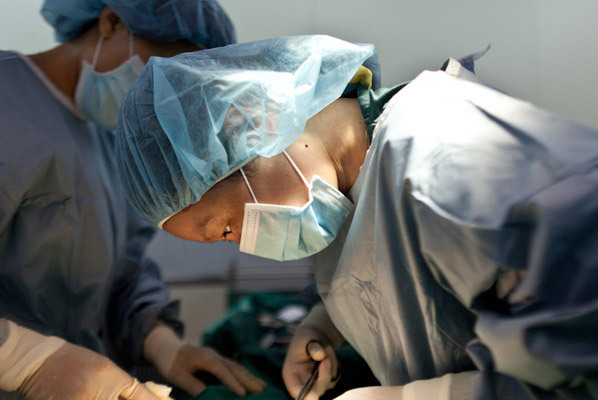 The program provides the foundations for participants to immerse themselves in what it truly takes to operate a successful health care organization in the Chinese market. Through the use of business case studies, group discussions and company visits, Western executives will learn from and network with like-minded leaders and entrepreneurs from both China and Europe. This program is aimed at the senior executives who are responsible for creating the organisation’s future strategy closely aligned with the high growth health industry in China. This program targets the following: Pharmaceuticals, Biotechnology, Nutrition, Medical Insurance, Medical device and applications, as well as Healthcare and its related products and services. Tuition: €6,500 EUCBA Members are eligible for a 10% discount. includes class materials as well as selected meals during the program. Program language: all materials and lectures will be delivered in English. You can register for the 2017 China Immersion Program for Health Industry by contacting the Program Director, Mr. Bo Ji at boji@ckgsb.edu.cn or by calling the London office on +44 (0)20 7766 8201. We will then issue you a registration form to book your place. As a world-class business school from China, Cheung Kong Graduate School of Business (CKGSB) aims to develop current and future leaders with a global vision, a humanitarian spirit and an innovative mind-set. Established in Beijing in November 2002 with generous support from the Li Ka Shing Foundation, CKGSB is China’s first faculty-governed, non-profit, independent business school. Over the past 13 years, CKGSB has developed into a prominent business school with 45 full-time professors, who have earned their PhDs or held tenured faculty positions at leading business schools such as Harvard, Wharton and Stanford. Their research have provided the basis for over 300 case studies of both China-specific and global issues. CKGSB also stands apart for its unmatched alumni network. More than half of the 10,000+ CKGSB alumni are at the CEO or Chairman level and, collectively, lead one-fifth of China’s most valuable brands. Together, their companies shape over $1 trillion in annual revenue, demonstrating the school’s impact and influence. In addition to its main campus in the center of Beijing, CKGSB has campuses and teaching facilities in Shanghai, Shenzhen and New York, as well as offices in Hong Kong and London. The school offers innovative MBA, Finance MBA, Executive MBA, Dual-Degree EMBA with IMD, Korean EMBA, Finance EMBA, Doctor of Business Administration and Executive Education programs. The Flanders-China Chamber of Commerce (FCCC) and the Province of East-Flanders are organizing a seminar focusing on ‘An Update on the Economic & Financial Landscape and the Internationalization of the RMB’. This seminar will take place from 12h00 to 14h00 on 14 February 2017 at het Provinciehuis, Gouvernementstraat 1, 9000 Ghent. In the recent months, the growth of the Chinese economy appears to have stabilized, albeit that growth is not even across all sectors. Jason Lee will provide his views regarding the outlook for the China economy and how various sectors are affected differently. He will also provide an update of the financial landscape and the related impact for foreign companies active in China. To conclude, Bernard Van Hees will provide an update on the internationalization of the RMB and the related opportunities or threats. If you are interested in attending this seminar, we kindly invite you to sign up here. The Flanders-China Chamber of Commerce and the Province of East Flanders are organizing a seminar focused on ‘Belgian Customs and its activities in China’. This event will take place at 17h00 on Monday 3 October 2016 at the Provincial House, Gouvernementstraat 1, 9000 Ghent. Belgian Customs in China, can we help you? 17h30 Welcome by Mr Geert Versnick, Vice Governor in charge of European and International cooperation and economic affairs of the Province of East Flanders. If you are interested in attending, please register online before 26 September 2016. The Flanders-China Chamber of Commerce (FCCC) and the Cheung Kong Graduate School of Business (CKGSB) are organizing a one day training session on “Understanding China’s Next Move” on 6 October 2016 in Brussels. With a population of 1.3 billion, China has become the second largest economy and is increasingly playing an important and influential role in the global economy. China’s economic performance over the past 30 years has been remarkable. It is a unique development success story, providing valuable lessons for other countries seeking to emulate this success. In the next 15 to 20 years, China is well-positioned to join the ranks of the world’s high-income countries. China’s policy makers are already focused on how to change the country’s growth strategy to respond to the new challenges that will come. While China has certainly garnered the spotlight in recent years, the economic model that worked so well during the years of China’s development now needs to change. China has begun to confront all sorts of challenges – demographic, social, environmental, economic and political. But where is China heading? “How the world’s most populous country handles the many developmental challenges it faces, will go a long way towards determining what kind of world we inhabit,” said Supachai Panitchpakdi, former Director General of the World Trade Organization. The continued rise of the Chinese economy means that switched-on business executives are increasingly keen to learn more about this country and how to engage with its irrepressible dynamism. But why listen to second-hand stories about China, when, with CKGSB, you can uncover the real China first-hand? Bo has been teaching EMBA/MBA at some of the world’s most prestigious business schools such as INSEAD, Esade, MIT, New York University, Hong Kong University of Science and Technology, Technology University of Munich, Tsinghua University, CKGSB, Zhejiang University, Sun Yet-Sen University, Shanghai Jiaotong Univer-sity and Taiwan’s National Chengchi University etc. In addition, Bo also offers advices to Chairmen and CEOs. He is also a frequent speaker at renowned international conferences, forums, TV media and annual corporate meetings. By immersing participants into China’s contemporary context with a global perspective, CKGSB helps explore the key elements of China’s social and business environment. You will learn from CKGSB’s world-class faculty in the classroom and benefit from the rich experience of industry speakers. You will investigate various case studies and become involved in team projects, group discussions, company visits and cultural activities. You will also learn from and network with high-profile executives from China and around the world. This program is aimed at senior executives who are responsible for strategic leadership and improving their company’s performance, especially for those MNCs and private corporations planning to enter or expand their businesses throughout the Chinese market. 9:05 – 10:15 China’s 13th Five-year Plan and its business opportunities: Latest insights the Chinese government plan & how European business can benefit from many opportunities arising from it. 10:30 – 11:45 Win in China: Go to China Strategy and Business Models (with case studies and group discussions): Analysis of multiple business models across a variety of industries will demonstrate exactly what it takes to establish your brand, grow your consumer base and win in China. 12:00 – 13:30 Networking Lunch and Guest Speaker. 13:30 – 14:45 Chinese Consumer Behaviour and its Business Opportunities: This session will analyze the latest trend of Chinese consumer behaviours at the mobile internet era and how it differs from western consumers. We will also study how to capitalise on the business opportunities that are presented by the unique consumer behaviours in China. 15:00 – 16:15 E-commerce & Digital Strategy in China: With the increasing focus on the internet as the platform for business leaders, learning how to successfully operate online products and services is essential for any forward thinking business. 16:30 – 17:45 Cross Cultural Management & Negotiation under Chinese Context: It is essential to understand how to work with and manage cross cultural teams that do business with China to ensure effectiveness and results. As a world-class business school from China, Cheung Kong Graduate School of Business (CKGSB) aims to develop current and future leaders with a global vision, a humanitarian spirit and an innovative mind-set. Established in Beijing in November 2002 with generous support from the Li KaShing Foundation, CKGSB is China’s first faculty-governed, non-profit, independent business school.